Happy National Strawberry Shortcake Day! Did you know that strawberry shortcakes are considered “THE” dessert for summer? What better way to kick-off summer than have a day dedicated to this refreshing summer-time dessert! 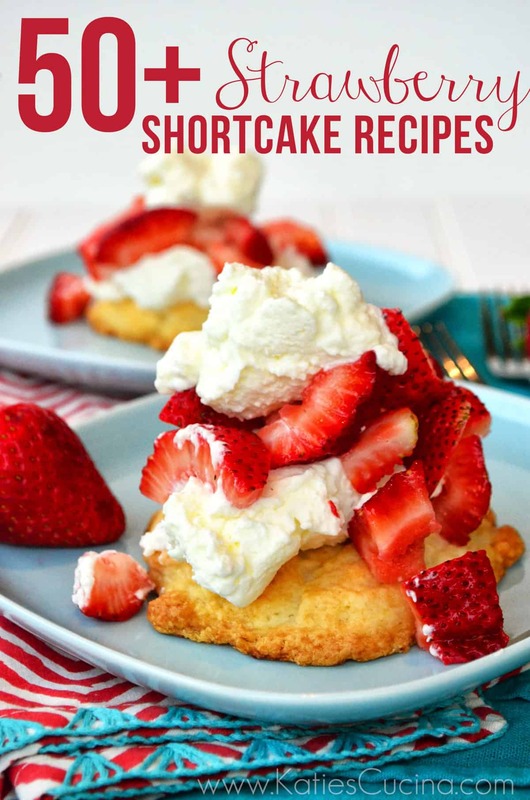 I’ve compiled a list of 50+ links of strawberry shortcake recipes ranging from breakfast, drink, desserts, and more. Strawberry Shortcake Martini from My Life as a Mrs.
My friends at Driscoll’s have this cool little Strawberry Shortcake info-graphic to give you more info about the official dessert of summer. Thanks for including my recipes, friend! And that anatomy of the strawberry shortcake is just too cute. No prob! It’s a great recipe! That little infographic is so cute! I am going to get strawberries today so one of these recipes is going to happen. Thanks for the shortcake love!!!! No prob–thanks for the awesome recipe! That’s quite a comprehensive list of shortcake-themed recipes! Love the “anatomy of a strawberry shortcake” diagram. Thanks Suzanne–I love me some strawberry shortcake! Oh thank you for this post! So amazing 🙂 I can’t wait to hit up the next farmers market for a fresh batch of strawberries! Pingback: How To Get Traffic To Your Blog By Using Roundups and The Roundup of Roundups!